This statement is deceptive at best. If anything, Puerto Rico’s economic prospects have only worsened. The surge in bond prices comes in response to a new version of the proposed “Fiscal Plan,” released by Puerto Rico’s government, which predicts a much higher fiscal surplus over the next six years than a previous version, released in February. Creditors are assuming they will be able to claim these funds for debt repayment, which pushed bond prices up. However, the newest plan downgrades growth predictions, prompting the question of where this new surplus is supposed to come from. As part of the process outlined by the Puerto Rico Oversight, Management, and Economic Stability Act (PROMESA) passed by the US Congress, the Financial Oversight and Management Board (FOMB) is in charge of certifying a long-term fiscal plan for Puerto Rico, giving the Board a final say in all major policy decisions. Prior to last year’s hurricanes, the Board had approved a 10-year plan, widely seen as unrealistic by economists, that projected a fiscal surplus of $8 billion over 10 years. Despite ensuring a lost decade in terms of economic growth, that surplus would be made available for debt repayment. Now, in the wake of widespread devastation and extensive damage caused by Hurricane Maria, the Board and the government of Puerto Rico are in the process of agreeing on a new fiscal plan. Since January, Puerto Rico’s governor has already released four versions of the fiscal plan ― none of which the Board was willing to certify. One of the most notable differences among the plans has been the gradual increase in the predicted fiscal balance over the next six years. The first version, released in January, predicted a $3.4 billion deficit over the next five years. However, the subsequent versions included a six-year forecast and went on to predict surpluses. The February release predicted a surplus of $3.4 billion, the March version a surplus of $6 billion, and the latest version, released in April, estimated a surplus of $6.3 billion. While this most recent plan predicts the highest fiscal surplus, it actually forecasts no overall growth. While the initial versions of the plan predicted some sort of GNP growth over the six-year period, the according to the latest release, GNP in 2023 will barely reach its 2017 level. Even these already grim predictions need to be taken with a grain of salt. Hidden among an array of euphemisms, every version of the plan includes large cuts to many essential services, cloaked in terms such as “new government model,” “right-sizing,” and “efficiency.” The government is also counting on savings that would materialize from privatizing various government agencies and services, despite past experiences with private operators that have actually resulted in increased costs over time. As I and my co-authors argued in the context of the previous fiscal plan, these types of measures and reforms have a track record of significant negative feedback, particularly in a depressed economy, that are likely to push Puerto Rico into a downward spiral of further economic contraction. Puerto Rico has been in a recession for over a decade and had very bleak economic projections for the future even prior to being hit by an extremely powerful storm that wiped out a large part of its infrastructure. In the immediate aftermath of Hurricane Maria, even President Trump was among those who made the case for debt cancellation. A letter signed by prominent economists explains that, given this context, in order for Puerto Rico to actually recover, there can be no reasonable expectation for the island to make any kind of debt payments until it returns to sustained growth. The letter makes the case for ample relief support and a fiscal plan that allows the island to return to economic growth, explaining that diverting funds from relief efforts to debt repayment would prolong the crisis, accelerate economic decline, and cause more human suffering. Meanwhile, a close look at the three plans reveals the source of the additional forecasted revenue that caused bond prices to soar: increased federal support. The January plan had estimated about $35 billion in federal assistance and did not include $5 billion in Medicaid funding Puerto Rico was granted for the next two years. The second, third, and forth versions both assume almost $50 billion in federal assistance. But only the latest two versions account for the increased Medicaid support. This federal support is clearly earmarked for relief efforts, meant to aid Puerto Rico’s recovery. This was made clear to the oversight board in a letter from Representative Nydia Velázquez’s office, who has been at the forefront of congressional efforts to secure more support for Puerto Rico, especially after a slow initial response to the island’s crisis from the federal government. Furthermore, the support secured by Puerto Rico is still below its own request for federal funds, which estimated the cost of rebuilding and putting the island back on a path to recovery at over $94 billion. It is clearly not the case that Puerto Rico will receive more money than it needs for recovery, so there will not be any fiscal basis for paying off debt as the bond markets are apparently assuming. The board’s disapproval of the submitted plan proposals is unrelated to any misuse of relief funds for debt payments, or to the fiscal drag on the economy. On the contrary, the Board is demanding further and more severe cuts, many of which directly target welfare recipients, public sector employees, and retirees, along with other labor reforms that would weaken protections and benefits for workers and that offer little evidence of any resulting increase in overall employment. This approach will prolong the crisis, while allowing creditors to seize a share of the money meant to ease the suffering of the people of Puerto Rico. The board is aggressively pushing for measures such as cutting Christmas bonuses for public sector employees ― which have historically been part of their compensation ― so this would effectively entail a pay cut. Yet, while it would punish public sector employees under the pretense that the estimated $69 million in savings is essential, the Board continues to lavishly spend Puerto Rican resources on hefty consulting and legal fees and on generous compensation for its own employees. Rather than ask for more cuts, the Board should follow its own core principles for a fiscal plan that prioritizes improving living standards and avoiding more outmigration, and that emphasizes the need to rebuild the island’s infrastructure. Allowing any relief support to be diverted to creditors, while demanding steep cuts to government services, goes against those principles. 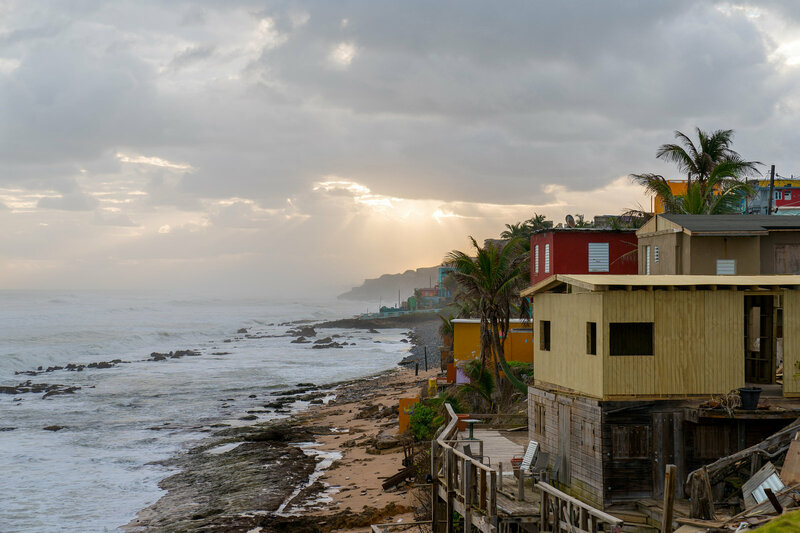 The post-hurricane circumstances in Puerto Rico are extraordinarily difficult, and the island still has a long way to go to recover. Immediately after the storm, it seemed rather odd that some hedge funds were buying distressed bonds in bulk, mostly at huge discounts, given the low probability that they would ever be repaid. Yet, under the latest proposed fiscal plan, it looks like their bet might result in a substantial payout. Those who predicted that Puerto Rico would not be able to make any debt payments in the near future, at least until it fully recovered, were not wrong about the situation on the island, but they did not consider the scenario that relief funds could become a source for creditor bailouts. Indeed, allowing the people of Puerto Rico to continue suffering, while rewarding bondholders ― many of whom purchased their bonds as a speculative investment at a steep discount ― is indefensible.